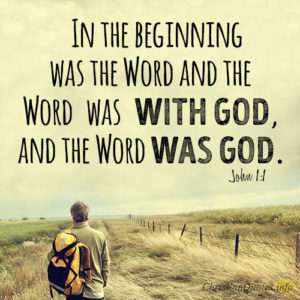 For my last three Sundays, I will look at some of my favorite scriptures as a means to share the core of my faith. 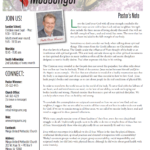 In this article, I will share core scriptures with some introductory comments on their importance. created everything, who created God? My third most important scripture finds its place more personally, than universally. The end of the story where Jesus resurrects Lazarus from the grave revealed for me the importance of community in personal, spiritual and emotional growth. Almost imperceptibly, it revealed the community nature of ministry. The scripture that reveals this more universally is Romans 12. This passage, which defines the church better than any other, holds a vital role in our understanding of who we are as a Christian community. In Matthew 9:13 and 12:7, Jesus quotes from Micah 6:8 or Hos. 6:6 an eternal truth of the God who is called “I Am who I Am”. God’s proclamation, “I desire mercy” is made even more clear in Isaiah 3:13 and most of the prophets. God and God’s people are to care for the poor and the broken over the desires of the rich and mighty. Together, these scriptures reveal God as the essence of life with the desire for that life to serve all creation. They move from high philosophy to practical expectations, describing God beyond what words can express and as one who dies on the cross. A God far above us and a God in our midst. A God who has limitless power who does not force, but invites us to co-create freely. I hope you will be with me on my last three Sundays as we look at God who is the essence of being. Hear the call God has for us, the church, not so much as individuals, but as a community of many gifts. May your hearts be open to God’s eternal hope, which is the loving care of creation and all its creatures.